Why be a Glenelg supporter? Why indeed? Objectively, it seems less a badge of pride than a sentence, a millstone, a curse from the abyss of Hell. We started life with a vote down at the Glenelg Council Chambers, when Glenelg was a half days buggy ride from Adelaide, on March 10, 1920. 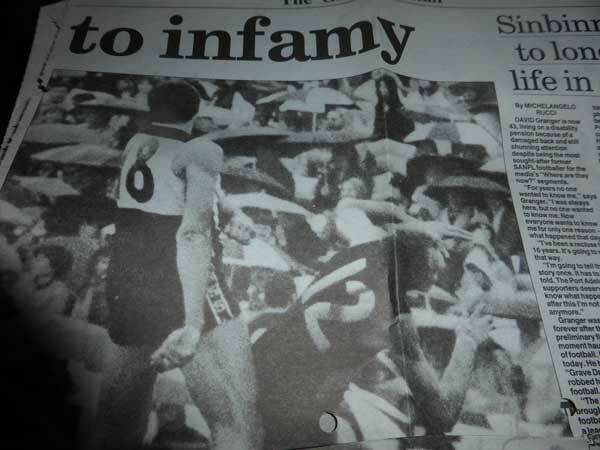 It made a debut in the SAFL, then the second tier, beating South Adelaide by a single point (for the uninitiated, the narrowest winning margin) in its first game. 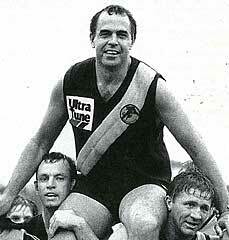 Then it entered the Big League, the (incongruously named) South Australian National Football League (SANFL). 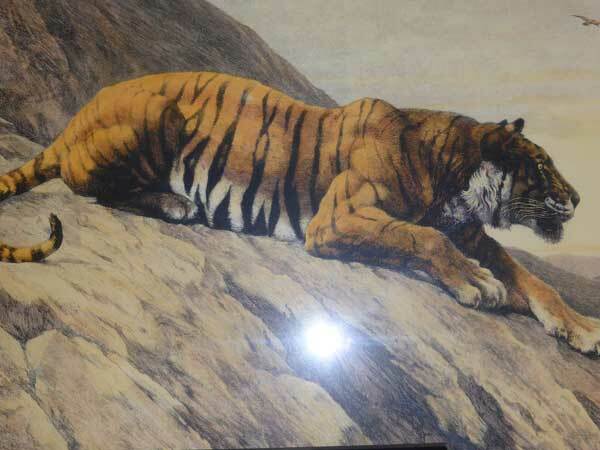 Resilience was inculcated in the True Tiger Fan by Glenelg’s first 5 years in the Big Show – not a single win – surely a world record. Then slowly, slowly, battle-hardened players and fans became warriors others wanted to join, and in 1934, came a howling wind from Holdfast Bay. From nowhere they came, 100 to 1 against, and they beat Port Adelaide in the Grand Final (akin to the Superbowl) by a goal and a bit, a team who had almost a lien on the Premiership trophy, who’d beaten us by 30 accumulated goals in the 2 matches against them earlier that year: an abject lesson and inspiration to all people, not just fans – you can succeed, despite unanimous critical animosity, overwhelming public apathy, universal official hostility…and that when you’re going through hell, keep going. 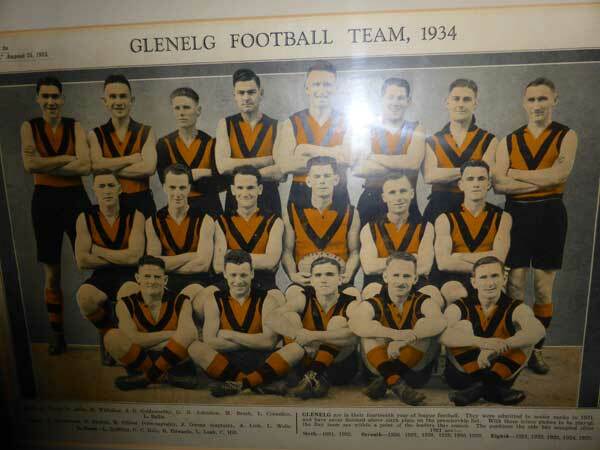 And in the final analysis, that is Glenelg: a pesky, unloved bunch of perceived silvertails from the beach, not often Premiers, but good for action…great for action, on or off the field. 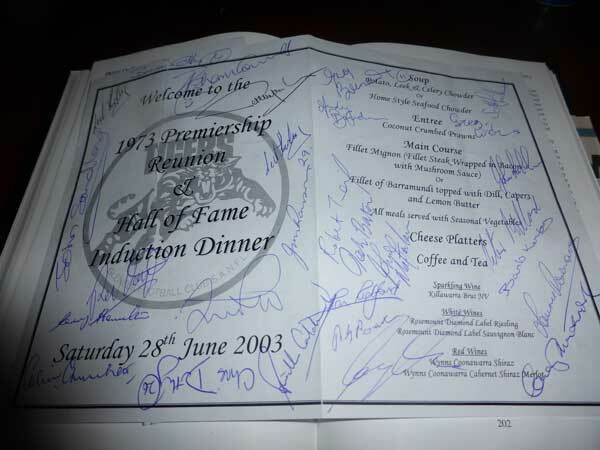 After that first Premiership, the Bays had a hangover for a few decades and despite coming close on several occasions, not till Neil Kerley barged into the role of senior coach and turned a team of drifters into titans did a 40 year gap (between their first Premiership and their second) close, in a nail-biting war of attrition that climaxed the brilliant season of 1973. 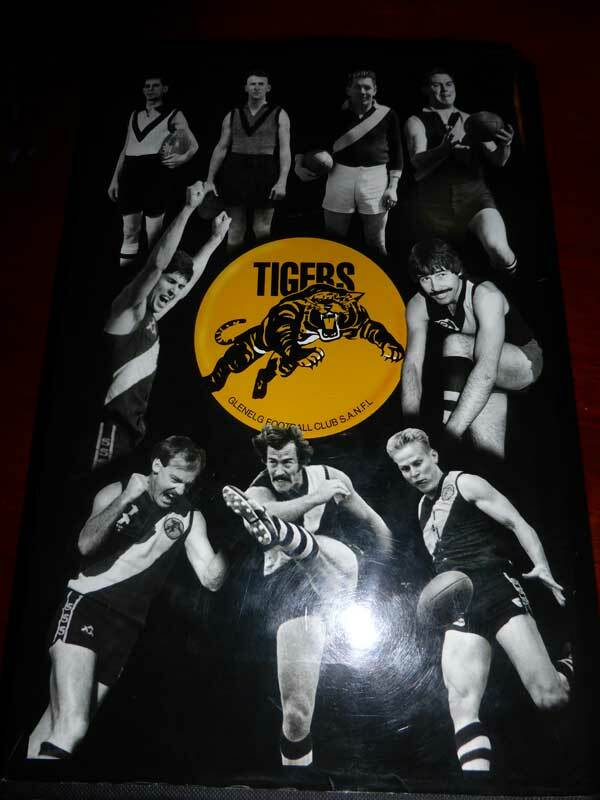 The subsequent years showed how the Tigers developed into great competitors who tended to crash through and then crash, usually enigmatically, and usually at the final hurdle (Grand Final losses in 1974, 1975, 1977, 1981, 1982, 1987, 1988, 1990, 1992 and 2008). Glenelg, a comparative minnow, decided (typically) to go after Port, the heavyweight of the competition. Eventually, their rivalry would extend beyond the game to Boardrooms and Court rooms, epitomised by the unorthodox playing methods of David Granger. And Glenelg eventually cut through again in the glorious mid 1980s. Graham Cornes returned to the fold and managed his talented list with skill and smarts, achieving the back-to-back triumph of the 1985 and 1986 Premierships. 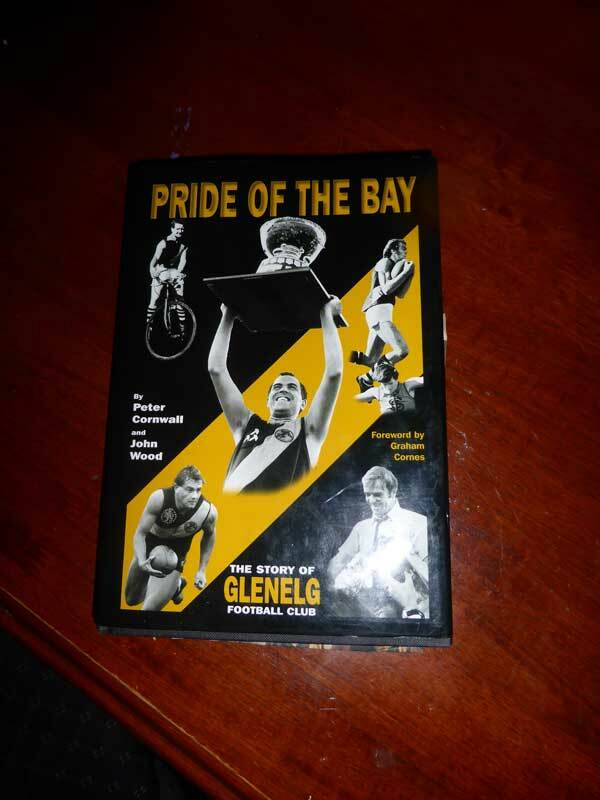 You can learn all this and more, recounted in loving and painstaking detail, in Pride of the Bay, the best book about an Australian Football Club ever written. From the early social history of Glenelg (the historical fount of South Australia) to the genesis and flourishing of the region’s footy team, growing into a powerhouse of the competition and winner of some of the greatest games in the sport, this book is everything you want it to be. It is so rich in facts and so very well written that you can open it at random and start reading. But The Varnished Culture recommends that you read it from go to whoa. The book’s concluding chapter, “A Changing World,” covers the uncertain 1990s when newly created South Australian franchises entered the national competition. The hybrid entrant, the Adelaide Crows, started up in 1991 and took away Glenelg players and Glenelg officials, leaving the Bays eviscerated. And it showed on the field, despite plucky soldiering on through the decade. Port Power, a confected straw man based on Port Adelaide FC, went national in 1997 and plucked the two Cornes boys, Chad and Kane, leaving the SANFL competition, and Glenelg in particular, to contemplate a new paradigm where the local teams became a sort of talent deli for the overpaid teams in the Show (AFL). But the outrages and arrogance of the National competition aside, Glenelg grinds on towards its centenary and we look forward to an updated edition of this great book. 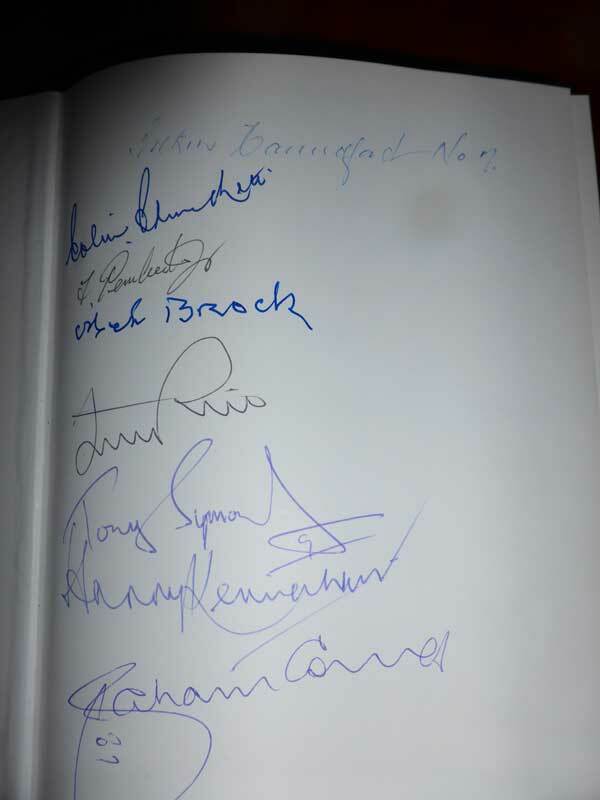 Perhaps we might have a 2020 treat to read in addition, as Mr Cornwall hinted at a recent function? 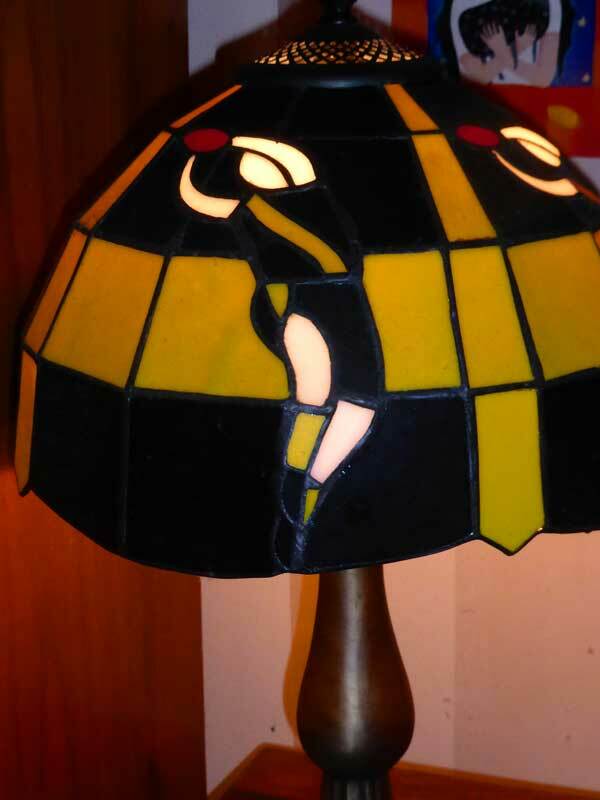 The lamp in the article. Can you tell me it's age and who made them. I would love to know it's history of it. Hi Nathan - I think they were made in China (naturally) - I bought mine at a wholesaler called T & S Lighting at West Richmond in South Australia but they closed their store a few years ago and I do not know if they are still in that business; perhaps purely as wholesalers. You could try emailing susankartsonis@bigpond.com. Alternatively, we are soon to formally launch our site, featuring some interactive competitions that will feature rare artefacts as prizes - who knows? I have 3 of these and may put one up as a prize.